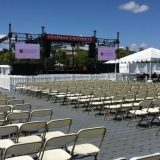 The Chapman University Survey of American Fears Wave 3 (2016) provides an unprecedented look into the fears of average Americans. 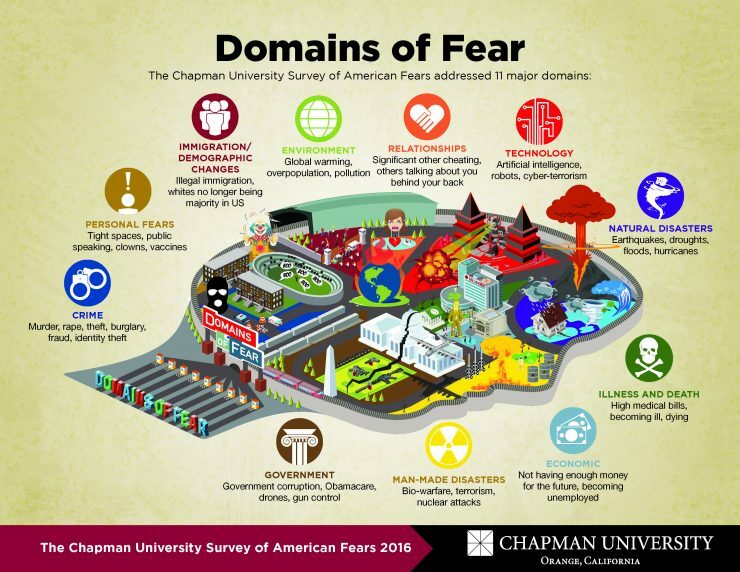 In April of 2016, a random sample of 1,511 adults from across the United States were asked their level of fear about 79 different fears across a huge variety of topics ranging from crime, the government, disasters, personal anxieties, technology and many others. 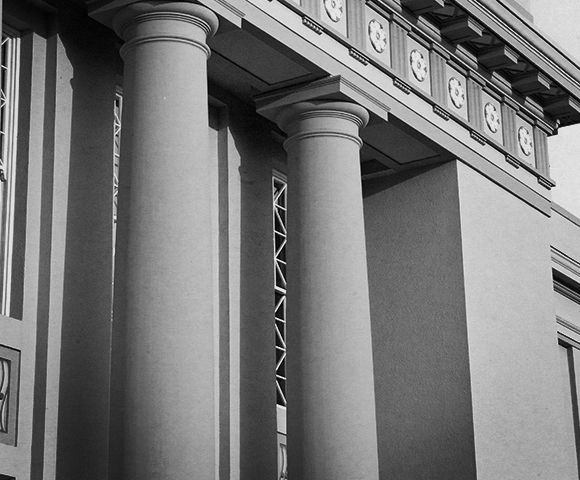 Economic Not having enough money for the future, becoming unemployed, etc. Government Government corruption, Obamacare, drones, gun control, etc. 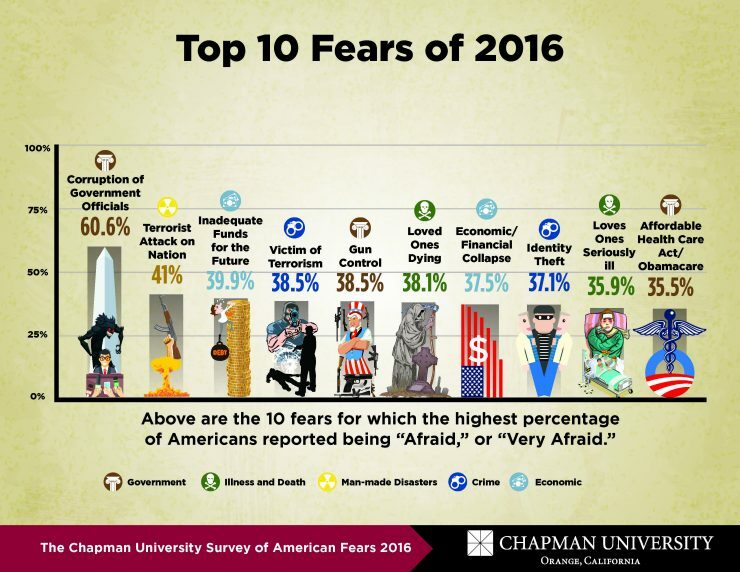 The following is a complete, list of all of the fears addressed by the Chapman University Survey of American Fears Wave 3 (2016), including the percent of Americans who reported being afraid or very afraid. 2909 people shared or liked this.